Last week, a client of mine brought in his Grandfather’s guitar for me to evaluate. 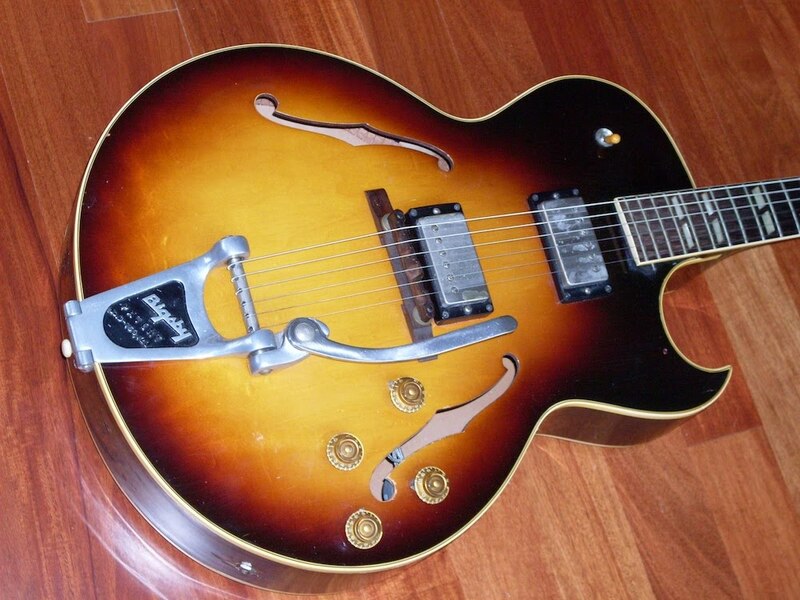 It was a beautiful 1959 Gibson ES 175 that had been played and loved. 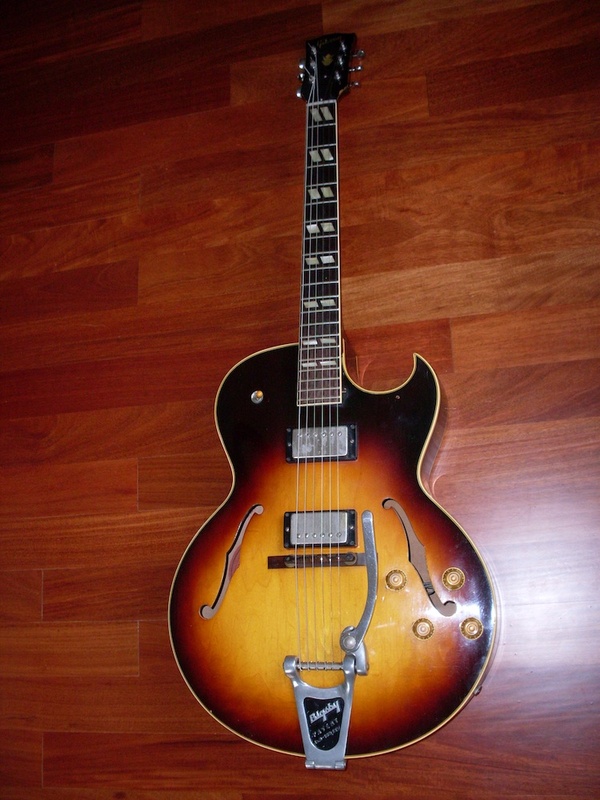 OK, it isn’t a 335 but the point can be made for any vintage guitar. One owner guitars are usually the best cared for and this one was no exception. This was no case queen, it showed plenty of wear and tear. But it was from playing-not from neglect. In general, a guitar that has been played will sound better than one that hasn’t. Two reasons: one a cause and the other an effect. If a guitar plays well and sounds great, it’s owner is likely to keep it and likely to play it. If the guitar you bought just doesn’t speak to you, then you are likely to sell it, trade it, put it in the closet or whatever. The second reason is that a guitar that is played regularly will sound better than one that sits. This ES 175 is a very good example. When the guitar came to me, it sounded pretty awful-old strings and years of dust don’t help any. I brought it home, restrung it, cleaned it up a bit and played it for the weekend. By Sunday it had “opened up” and started sounding like the great guitar it had always been. Think of it as being awoken from a rather long sleep (it hadn’t been played in many years). I’m sure there are scientific and psychological reasons behind this phenomenon, I just don’t know what they are. However, there are plenty of guitars out there that haven’t been played for decades that may be excellent guitars. They just never got the chance to prove it. There are thousands of guitars that have been sitting under a bed since the mid sixties when 13 year old would be rock stars bugged their parents for an electric guitar. Many lost interest and never touched it again (it’s not that easy to become a rock star). These were not usually high end, valuable pieces but they could be. A 335 cost a few hundred dollars in 1964 and while that was real money back then, it wasn’t out of the question for a family to spend that kind of money on a musical instrument for their child. My father bought me a 1964 Fender Duo Sonic and a Fender Princeton amp for $159 at Hermie’s Music Store in Schenectady-home of the “just beyond retail” sale. We didn’t know that you could get a brand new Stratocaster for a few dollars more at Manny’s in New York-just 160 miles away. But I digress. My client’s father was at my office as well and he was able to give me a detailed history of the guitar…played in church every Sunday…had a repair to the switch…Bigsby later put on at the Gibson factory and so on. That’s what so great about a one owner guitar-you can usually learn its entire history and that, for a collector, is of great value. With a guitar that’s been through as many as a dozen owners or more in its lifetime, you never quite know what’s original and what isn’t and it’s sometimes hard to tell whether its been well cared for or just refinished or loaded up with repro parts. But a guitar that’s been lovingly played all its life by a single player is usually a keeper. Just ask the previous owner. If you’re interested in this guitar, it’s for sale. It’s all original except for changed tuners- (the originals are in the case) and the added Bigsby. The original tailpiece is MIA. You can contact me at cgelber@gtvnyc.com or just post a comment with your contact information.